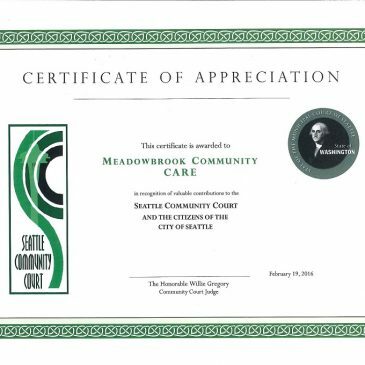 In 2009, Meadowbrook Community CARE was one of 26 other community partners in the Seattle Community Courts Program. 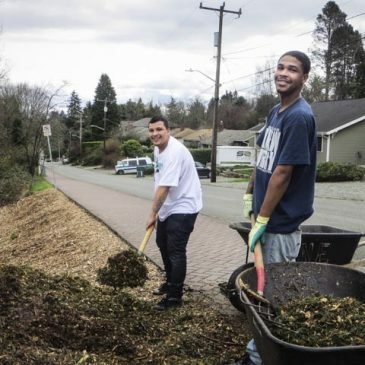 Providing the community service component in Northeast Seattle gave the then start-up MCGO big help in the initial project build-up to the Community Garden piece of this large urban gardening effort. Everyday maintenance in the Orchard also benefited from this pivotal partnership. 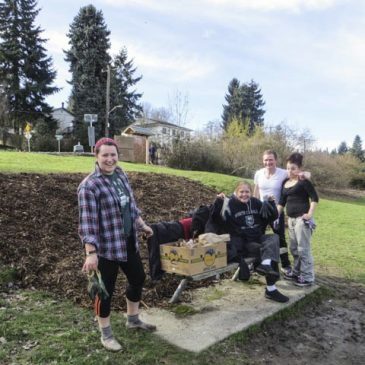 Described by City of Seattle Attorney's office as a "a community involved justice initiative that provides a nontraditional approach to address traditional problems." As the relationship has now ended, the numbers tell a tale of partnership, engagement and success.  In 2016 the City of Seattle Attorney's office decreased the number of sites due to staffing and logistical challenges. 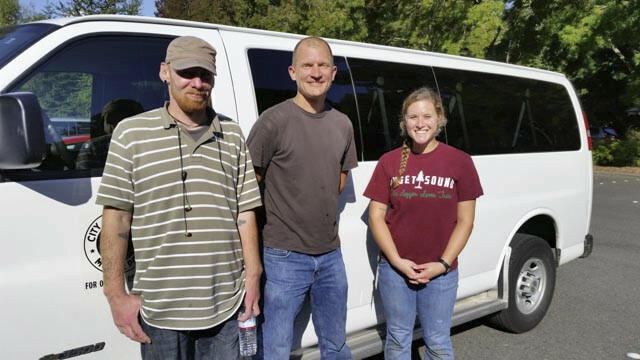 The decision was a let-down for MCGO on a programmatic level but the participating 600 clients of the Community Courts program at the MCGO site did make a difference and the program did give them another alternative in their process. 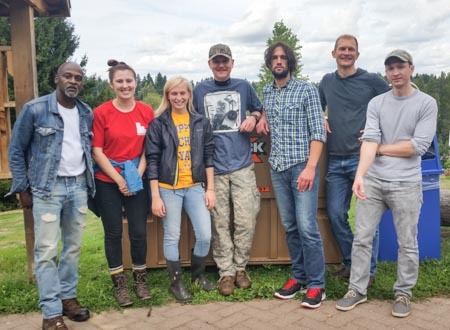 We thank the clients of the Community Courts Program, contact Tricia Lapitan and the City of Seattle Attorney's office for the over 2400 hours of evolving effort to help build the Meadowbrook Community Gardens and Orchards in Meadowbrook. 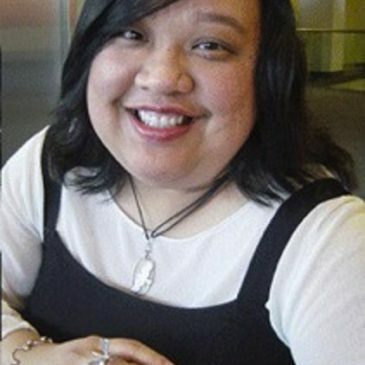 City of Seattle Attorney’s office has assigned new AmeriCorp reps for the Community Courts program. Good job this week and welcome to Joey and Emily. 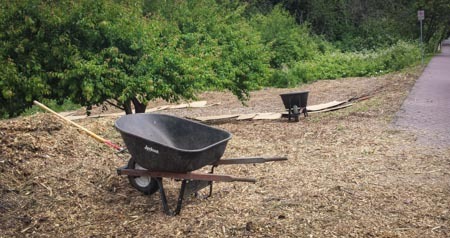 Work continues in the North Orchard, with weeding and mulching. 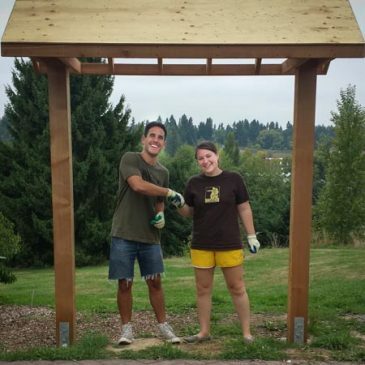 AmeriCorps representative, Tracey (left) and clients spent Wednesday (July10) putting down cardboard and mulching the North Orchard. 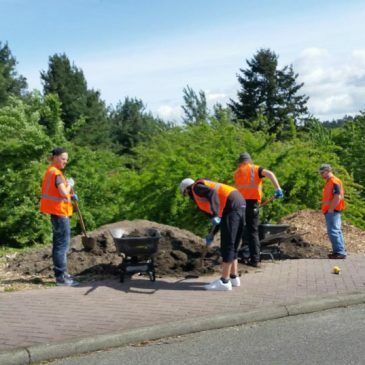 We appreciate the effort and focus as there are always weeds to pull and mulch to spread. Good job, Tracey and Crew! 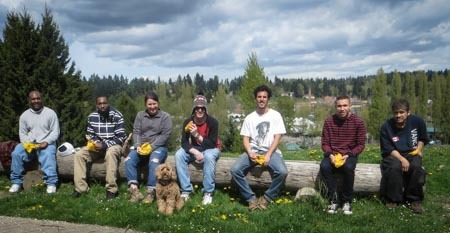 Community Courts partners with Meadowbrook!